CLAD in IRON: Philippines 1898 Available NOW! Last edited by Typical Russian; 11-17-2017 at 07:15 AM. We have included the effect of weather. Below I posted a screenshot. The height of the wave is 6 feet (1.8 meters). After testing, we will update the game. Done! We added the effect of weather on the battle. 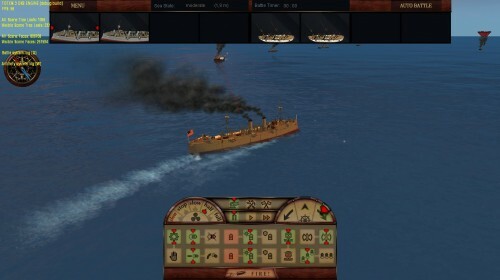 Now we are working on adding destroyers and torpedoes to games. As soon as we finish this work, we will update game.